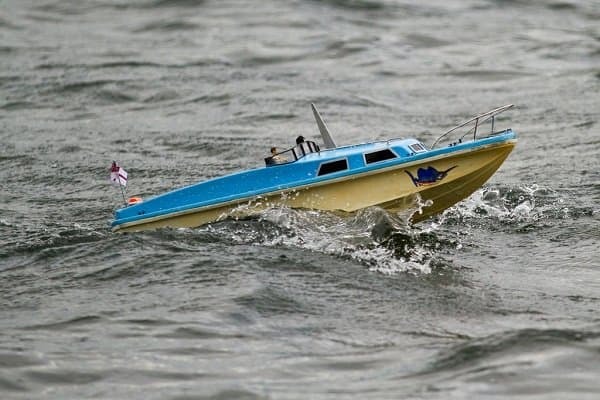 Owning a new and fancy RC boat that can run as fast as 20 miles per hour is a dream come true for enthusiasts. The great thing is that the toy can be used indoors and outdoors. However, not all bodies of water are considered to be the best places to use RC boats. Most of the time, picking the wrong location you might end up losing your favorite toy. In order for you to make the most out of your investment, you must make sure that you have a good place in your area or a nearby town wherein you can play with your RC boats efficiently and safely. It is a given that most, if not all, RC boat manufacturers will include in their RC boat’s manuals or label the type of water wherein it can be played. Nonetheless, we have collated the top five places that will be safe for the majority of RC boats available on the market. Ponds are stagnant bodies of water that have small sizes. Such characteristics make them suitable for RC boats, especially for beginners. That is because in case your RC boat stops working, runs out of battery, or tips over accidentally, you can easily retrieve it. The absence of waves and any form of extreme movements will also enable you to practice controlling your new toy. Although rivers are not as calm as ponds, they are also a good option, especially for catamaran-type RC boats. However, there are some considerations if you want to play your toys in this type of water. The most important is that you must evaluate if it flows continuously to other forms of water like the sea and ocean. If it does, you must make sure that you are already an expert in navigating your toy. In case the river ends in a nearby dry land, then, no matter what your skill level is, you can play your RC boat in it. Using an RC boat in swimming pools is one of the best decisions for newbies and children. That is because there is no danger in losing the toy no matter how far you drive and even if it sinks or flips. You can also play with it while swimming or you can stay at the poolside and navigate it. In case you do not have your own pool, playing it in a public pool is still a great choice. Nonetheless, you just have to be aware of the fact that your toy’s movement is limited because of the other people who might be swimming or dipping. Lakes are also good places where you can play your RC boats since they are static and do not end in larger bodies of water. Since they are somewhat bigger and deeper than ponds, you must make sure that your RC boat has enough power for it to last long. This type of water will be best for friends and relatives who want to play racing using the RC boats. 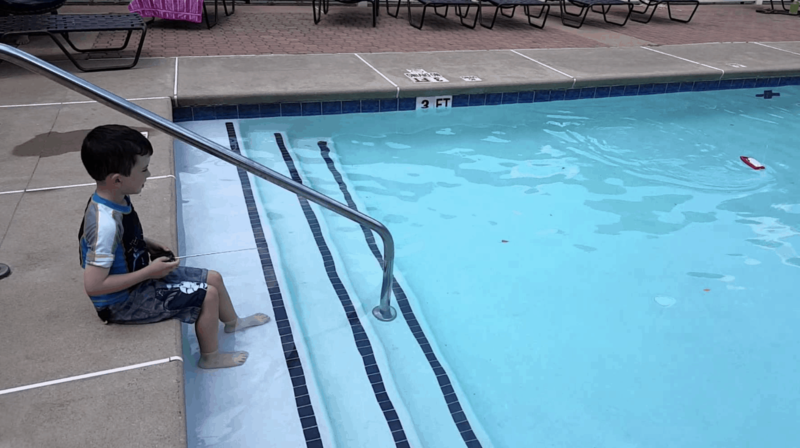 Bathtubs are probably the best places to use RC boats, especially for children. Since they are installed inside the house or hotel, the boat will never get lost and kids can even create waves to make the playtime more fun and exciting. Additionally, busy parents can take this chance to bond with their children without them leaving their homes. RC boats are toys that are not adored by all people. Most of the time, that is because of the fact that they create a certain level of noise. Hence, there is an important thing that you must remember before even playing the RC boat in public places or even inside your bathroom. With that being said, you must identify the type of RC boat that you have. 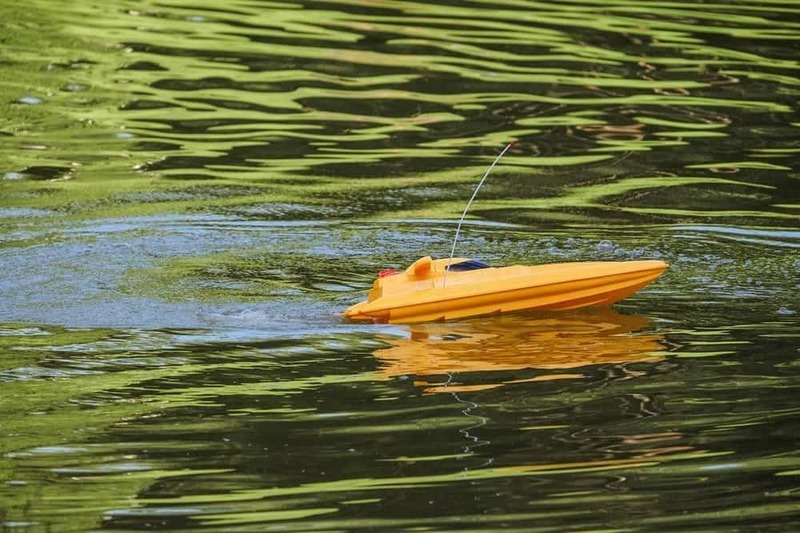 Electrical or battery-operated RC boats produce nearly quite sound levels. 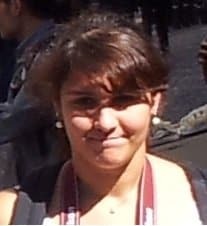 Thus, they can be played without hassles in places wherein other people are present. Gas-operated RC boats, on the other hand, produce disturbing sounds, making it unsuitable for indoor use. Publicly, it is a good practice to check noise regulations being enforced in certain lake, pond, and river locations. Most RC boats are versatile enough to be used in two or more types of water forms. They are great toys for loners, as well as those who want to have fun with their partners, friends, co-workers, or relatives. When it comes to choosing the area where to play an RC boat, such is dependent on your skill level, RC boat model, and the rules implemented in the locality.